October is great time for crafting with kids. The weather is getting crisp and the days are getting shorter. Fall has arrived, and with it tons of crafting opportunities. 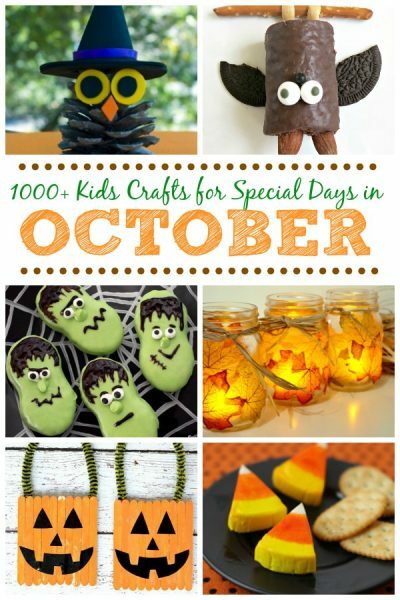 Here at Fun Family Crafts, we have over 11,000 fun craft tutorials for kids of all ages! You’re sure to discover your perfect October craft. Follow any of the links below to find crafts related to the special celebrations that take place during October. Here are the special days that we love in October! Need some ideas for fall crafts? We have over 1000 fall-themed craft tutorials! Does October say baseball or football to you? Either way, we have hundreds of sports-themed crafts you’ll enjoy. Whatever you’re planning this month, be sure to check Fun Family Crafts for any kid-friendly craft tutorials you need. Happy October!